Improve efficiency in an environment of constant competition: new competitors, tighter time to market deadlines and constant regulatory change impact. 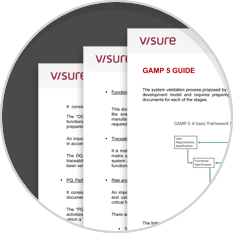 Prove compliance for requirements and automated system validation activities in accordance with GAMP5. 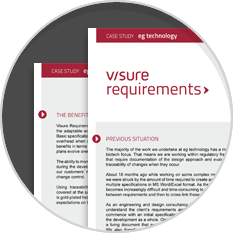 Reduce cost while keeping an effective validation process of validation computer systems. 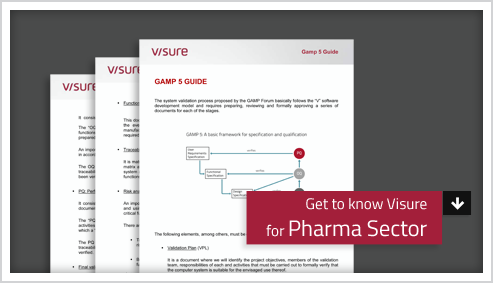 Support to automated system validation activities, in accordance with GAMP 5 guide. Manage the system validation process by defining requirements, specifications, test and risk and traceability between them. Automated templates and documents for the validation project. This translates to a low validation cost and effective time management. Support to bottom-up risk analysis (define attributes for each system function or user requirements in such a manner that the key factors for determining the risk can be identified) and top down risk analysis (obtain the risks identified to the attributes and mitigate them). Import and export requirements from Word and Excel by simply clicking a button. Manage traceability and impact analysis. Reuse requirements,validation procedures and requirements specification services in different projects by using reusable components functionality.